Every entrepreneur understands the importance of driving traffic, getting traction, and achieving enough reach to be successful online. 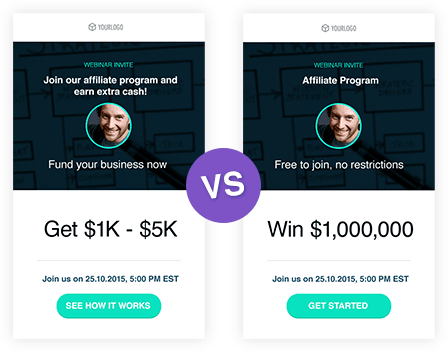 But starting an affiliate programme can be very expensive. So how to increase conversions and succeed in online business with a lower cost per acquisition? Choose GetResponse for comprehensive, cost-effective solutions that increase performance, generate more conversions, and ultimately drive more sales. Monetise your sites with traffic and clicks. Squeeze the most out of your marketing channel to ensure maximum effectiveness on a low budget. 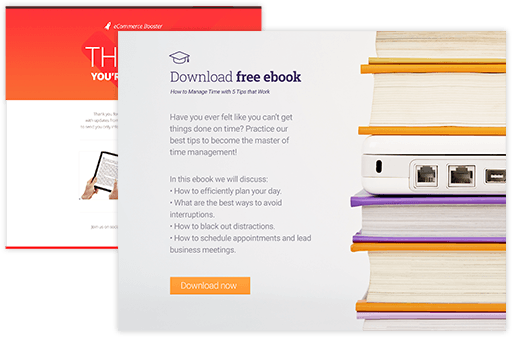 Use exit pop-ups, scroll forms, and download boxes to keep viewers on your site and capture their email addresses. Track visitor activity on your website and optimise your web presence. Collect contacts everywhere using built-in tools: from customised forms on landing pages and Facebook to online surveys and mobile apps. 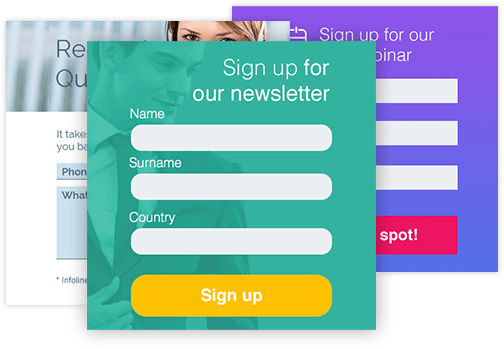 Create attractive welcome email cycles triggered automatically whenever someone signs up. Use e-commerce integrations to track your customers’ purchase behaviour. Increase readership on smartphones and tablets and generate traffic with messages that fit any mobile device perfectly. Send offers at the exact time that your subscribers are most likely to open your messages. Experiment with ready-made creative templates and craft spectacular offers with just one touch. Promote products, services, or downloads to get targeted visitors to your online affiliate offers. Announce time-sensitive offers and generate personal discount codes to maximise subscription rates. Offer a lead magnet on your landing pages and share it via social media for the ultimate in lead generation. Add or subtract scoring points for engagement to create truly unique customer communication. Win back cart abandoners with impossible-to-ignore offers. Create drip campaigns for your affiliate promo offers and schedule them to go out with a consistent time frame. Increase affiliate sales with free downloads and installations for those who subscribe and enter their contact data. Partner with affiliate networks, retailers, and publishers. Participate in other affiliate programmes and start promoting to their networks for greater exposure and to build a broader audience. Integrate affiliate tracking software, popular reporting tools, and payment processing to support your online advertising with smart solutions. Give account access to other affiliates in your network and run parallel email campaigns for comparing and sharing experiences. Publish product reviews offered by your partners and distribute them easily via RSS to email. Assign scores to your subscribers based on their activity, or lack of engagement. Get a full view of their buying potential and model your communication accordingly. Find out which offers and CTAs generate the highest conversion. Track the devices and browsers that are used to discover and download your content. Bet on testing and optimisation. Getting CPA-based results requires that you do more than just capture website visitors. 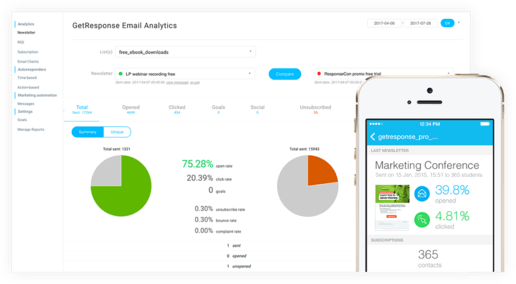 Build intuitive automation workflows and experiment with different promotional cycles that respond to subscribers’ actions. Use alternate content, links and images to display products that are valuable to your leads. Assign tags and create unlimited segments based on demographics, individual preferences, and behaviours, and experiment with multiple affiliate programmes. Start workflows with custom field conditions and create supremely customised communication journeys. 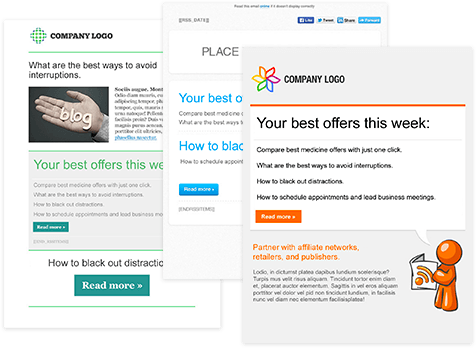 Test browser and mobile previews and avoid spam traps to ensure maximum deliverability. Add the power of GetResponse to your affiliate marketing.